StubHub is your ticket out. We're the world's largest ticket market place offering admittance to over 10 million live events in over 40 countries. Experience-seekers rejoice! Attend live sports, music, theatre or comedy events for less when you purchase your ticket through StubHub. Purchase any local or international event to earn Cashback. You must stay on Stubhub.com.au and not change to another StubHub regional site. Link your card/s & activate the offers before shopping. Be aware of minimum spend requirements, if applicable. Purchase within the advertised Cashback offer period. Read the offer special terms. If your card has been unlinked, suspended or cancelled Cashback won’t be eligible. If you unlink the card before the transaction appears in your account as pending. Like to know more? See our card-linked Cashback FAQ, here. Sometimes things don’t go to plan. Don't worry, we understand. 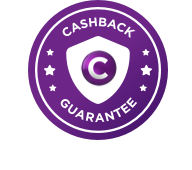 See our Cashback Guarantee, here.